With their astonishing diversity of tone and subject matter, The Canterbury Tales have become one of the touchstones of medieval literature. 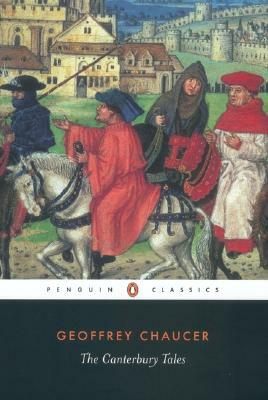 Translated here into modern English, these tales of a motley crowd of pilgrims drawn from all walks of life--from knight to nun, miller to monk--reveal a picture of English life in the fourteenth century that is as robust as it is representative. @AprilFools Oh and the Wyfe of Bathe. Talk about a woman who likes to be perced to the roote. From "Twitterature: The World's Greatest Books in Twenty Tweets or Less"